Figure 35. Current meter invented by Giovanni Boccardo in 1906. 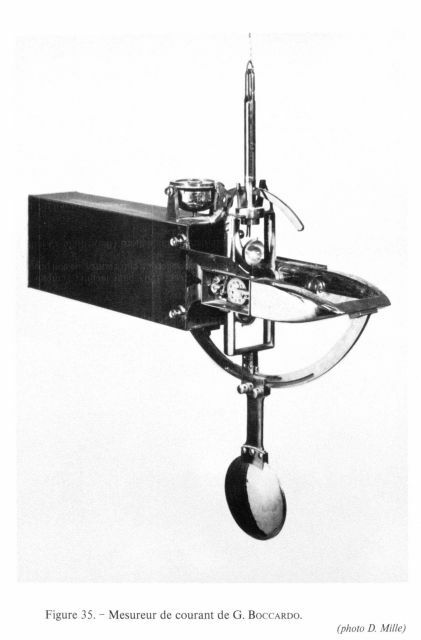 Boccardo was the chief instrument maker of the Royal Italian Hydrographic Institute. This high precision instrument eliminated many of the faults of earlier current meters. It was first tested near La Spezia about 1906.